Can I sign up month to month? What is a switch list? Is your school just for kids? What is the student semester fee? As someone who is still a student (I still take weekly voice lessons! ), I wanted to create a place for performers, musicians, and musical people of all skill levels. I also wanted to make sure that we provide the highest quality lessons by hiring only the most qualified professionals, that are both good teachers and masters of their instruments. I want LYRIQ Music School to be a collaborative environment for the art of teaching and the art of music amongst our teachers. A place where we are all always growing and learning. I want our teachers to work together to create consistency across their disciplines as a school so that if for some reason you need to switch teachers it it not like starting from scratch. Finally, I want there to be excellent communication to our students and families, including setting and managing expectations. Welcome to our school and our community! Our school is based on semesters. A semester is beneficial to both students and teachers. It allows students to develop attainable semester goals and participate in end of semester recitals and performances. It benefits teachers in that they get to work with an individual student for a dedicated time period and focus on development and growth. Miss the session start date? That's okay! Contact us and we'll find a time that works for you and prorate the session. Our teachers have been rigorously interviewed and are not only teachers but performers and masters of their instruments. Our goal is to provide the highest quality instruction to all of our students. Teachers are provided support from the school in the form of professional development, collaboration with fellow teachers, promotional videos, and observation. If you need to cancel a lesson you must call/text (773) 270-8284 or email info@lyriqmusic.com 24-hours in advance of your lesson. If you need to drop out of the semester a full month's notice must be given. If you have cancelled a lesson with 24-hour advanced notice you are allowed to make up that lesson. There is a dedicated makeup week at the end of each semester. NOTE: Only ONE make-up per semester is allowed. We're not trying to be harsh, we know everyone gets busy or sick and we understand this. That's why we offer a switch list! Check out our FAQ on a switch list. If for some reason your teacher is sick or has to cancel a lesson a LYRIQ teacher will step in to sub the lesson and in rare cases of extended absence an external sub may be used. If a substitute cannot be arranged the client will receive a credit for the lesson. Know ahead of time that you cannot make your lesson for a certain week? You can ask to be added to the switch list at anytime. 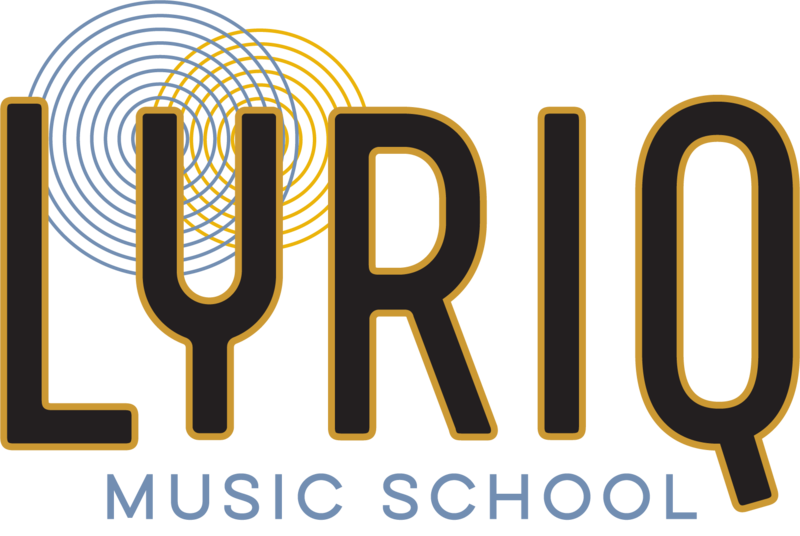 Email your Name, Date & Time of lesson to info@lyriqmusic.com that you want to switch. List other times or days for that week that you work for you. You will then be contacted with availability and effectively “switch” with another student. Create a user profile. If you are the student, great, start signing up! If you are the parent, create a user profile and as as many “students” as you will be signing up. All of our teachers are fully qualified and vetted. Read their bios and choose one or more favorites, or leave it up to us and we'll match you with someone that we think would be a good fit. We can discuss what your goals are and your preferences and make sure that you are comfortable with your teacher. LYRIQ recommends 4 years old as the earliest starting age for piano lessons. It is never too late to start piano lessons, however, and adult beginners are always welcome. For all other instruments, including voice, it is recommended that the student be at least 6 years of age. If you have a precocious child that doesn't fit these age parameters please contact us for an evaluation. Our goal as a school is to be a Music School for Performers, Musicians and Musical People. All ages. All skill levels. Lessons can be 30, 45, or 60 minutes. Beginners should start with a 30 minute lesson. If you are an intermediate or advanced student you may want a 45 or 60 minute lesson. It is best to consult with your teacher during your first assessment lesson and choose the time that best meets your needs. Bring yourself and your instrument. Don't worry piano players, not you, we have plenty of pianos! If you have studied before bring your most current previous materials. All students will pay student fee of $25 each semester to cover the necessary items for your studies. This fee includes your very own gig bag, student notebook and pencil, flashcards, and first lesson and theory books. *It is recommended that piano students also purchase a metronome or download a metronome app. You can pay a lump sum for the entire semester or we'll take the total semester amount and divide it into monthly payments. Summer sessions are paid in full at the start of each session. For example, the Spring 2017 Session has 18 available weekly lessons. Let's say you're taking 30 minute lessons at $35, your lump sum will be $630. You can pay it all at once or we'll divide it by 5 months, for 5 monthly payments of $126. Not sure you want to sign up for an entire semester, or starting in the middle of the semester? You can sign up for a four-week trial with no additional commitment required. Parents are asked to attend the first assessment lesson if possible. During this lesson your child's baseline musical knowledge will be evaluated and goals for the session will be set. For young children, it is important that musical goals be set together as learning an instrument will require parental support. Additional parental support is helpful at home in the form of encouragement with practicing and helping the student work through any frustrations. Often having specific and realistic practice goals make learning fun and more manageable. Families often set aside specific times for practice. For example everyday after dinner but take Fridays & Saturdays off.